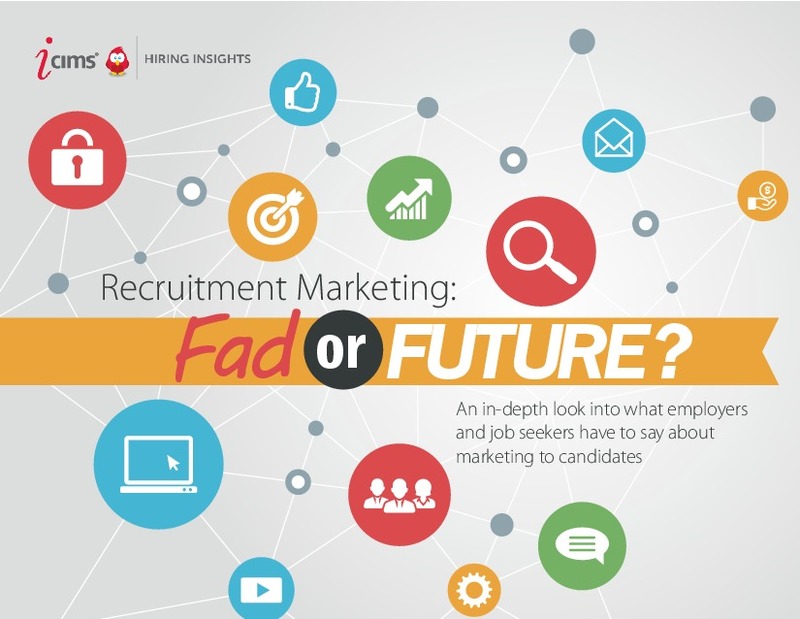 Recruitment Marketing: Fad or Future? 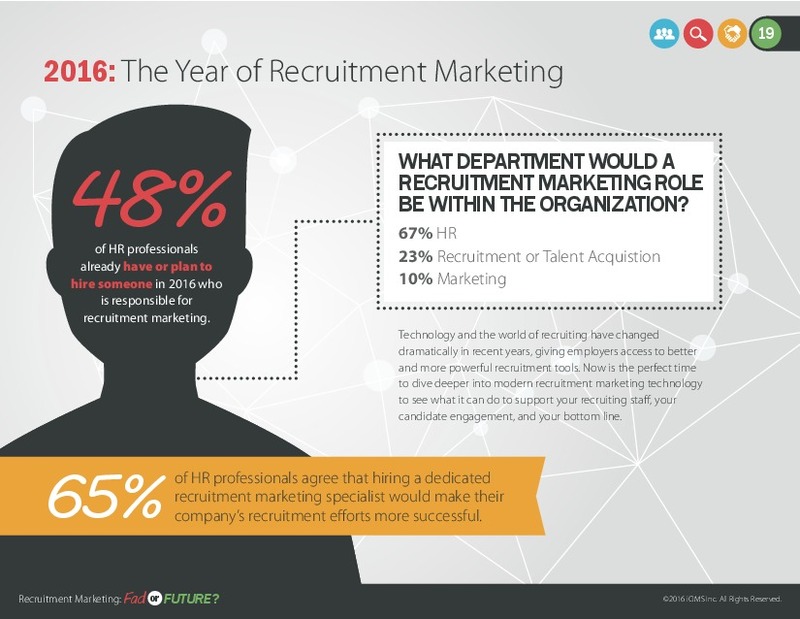 Recruitment marketing has increasingly become a core competency of talent acquisition. 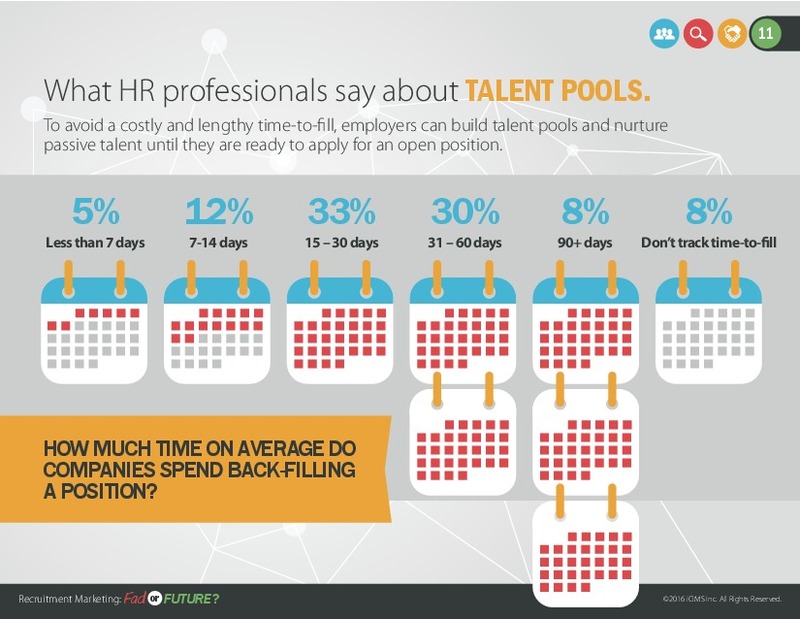 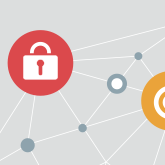 Unlike other employee-facing systems – such as solutions that handle performance management, payroll, benefits, etc. 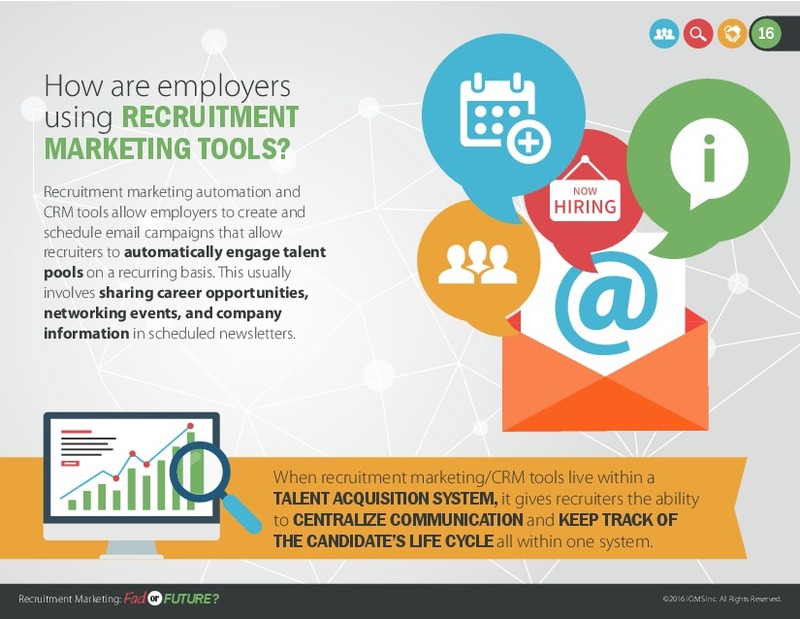 – most recruitment activities take place outside of your business’ four walls within a vast, online universe of candidates. 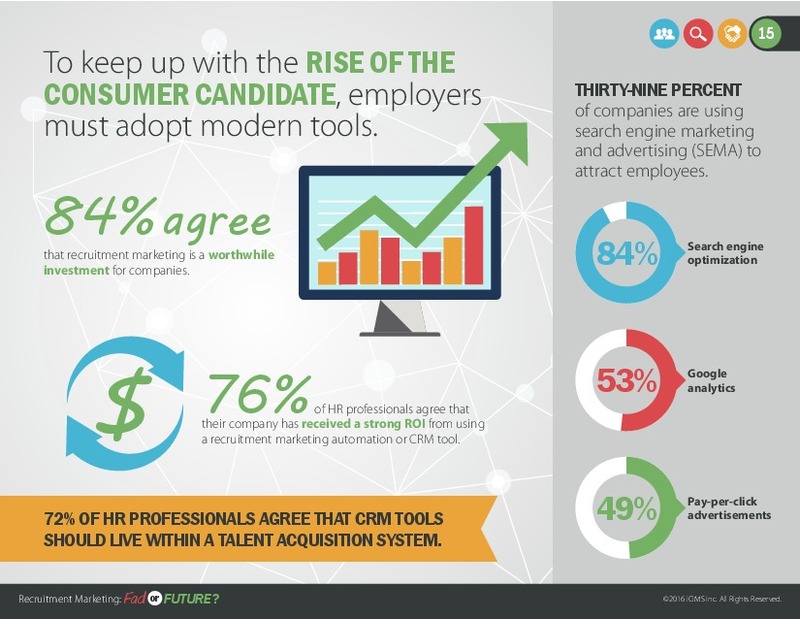 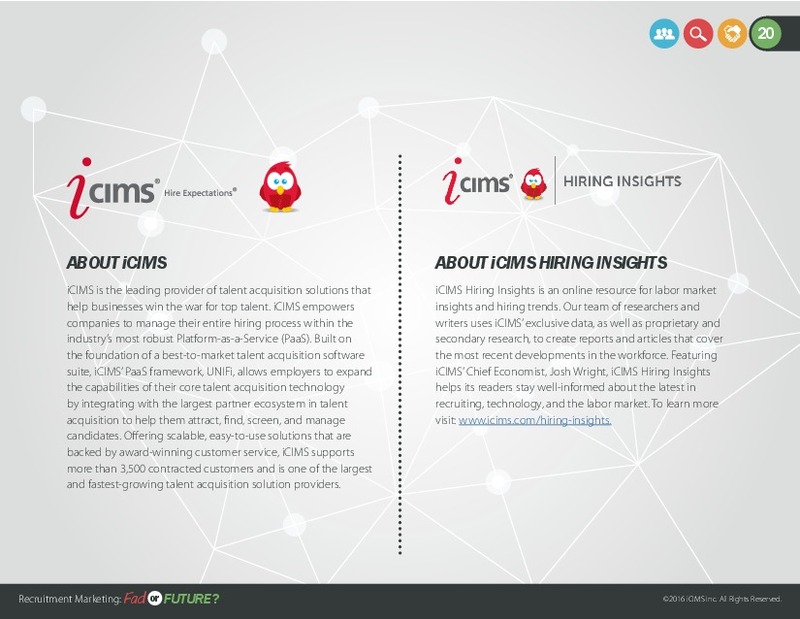 To keep up with today’s consumer-minded jobseekers, modern recruiting professionals are adopting recruitment marketing techniques and tools to establish and sustain connections with candidates. 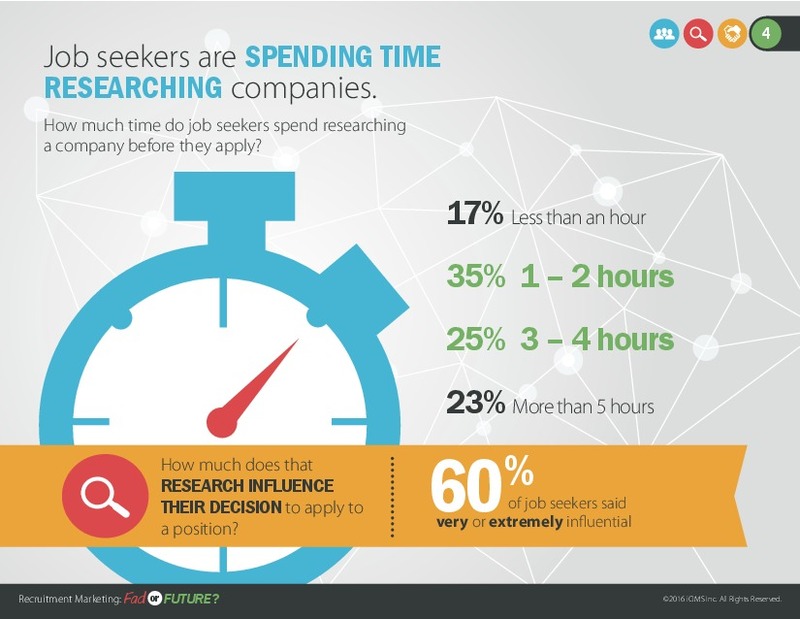 Understanding how and why candidates search for jobs is key to attracting and engaging people at the right time. 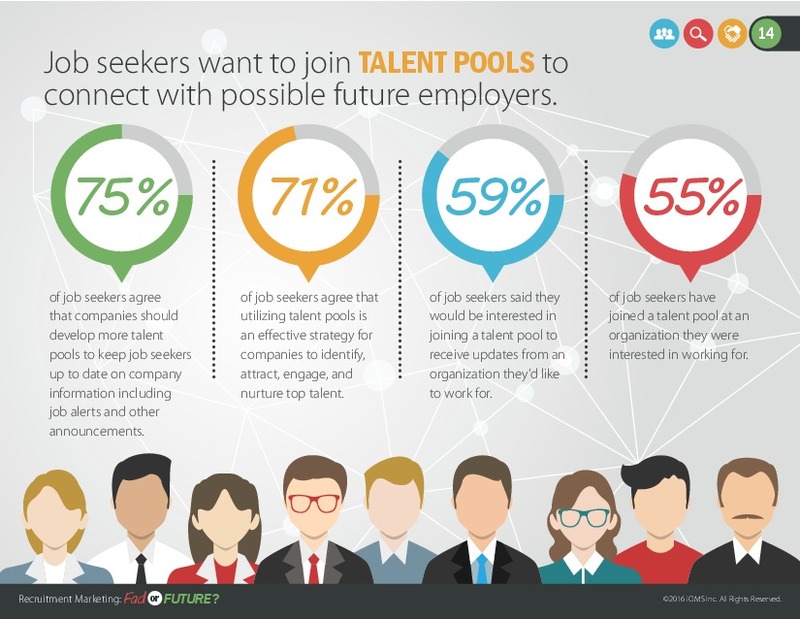 Seventy-seven percent of jobseekers are interested in pursuing a new job, but only 25 percent are actively looking for new opportunities, while 52 percent are passive candidates willing to discuss a new opportunity, but not actively looking for one. 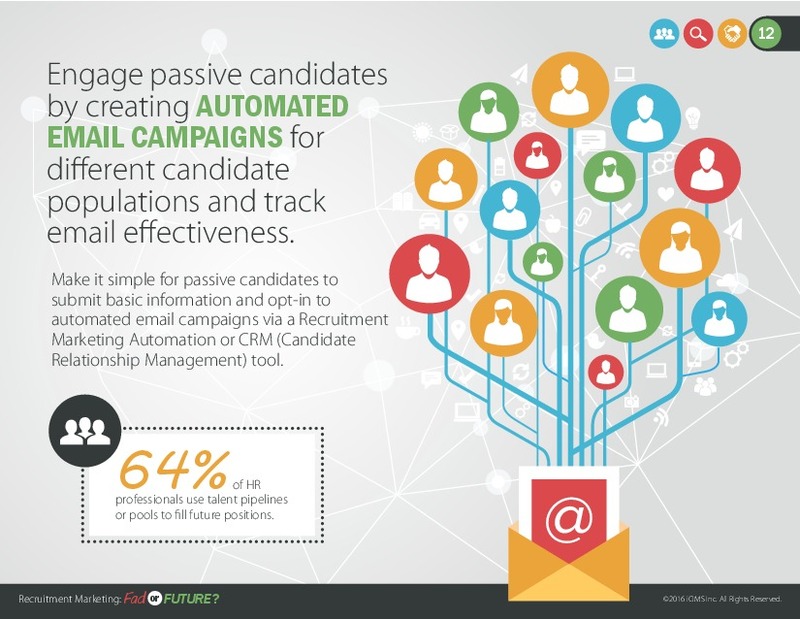 Being aware of what kind of candidates you are courting – both active and passive – is essential to understanding what a candidate is looking for. 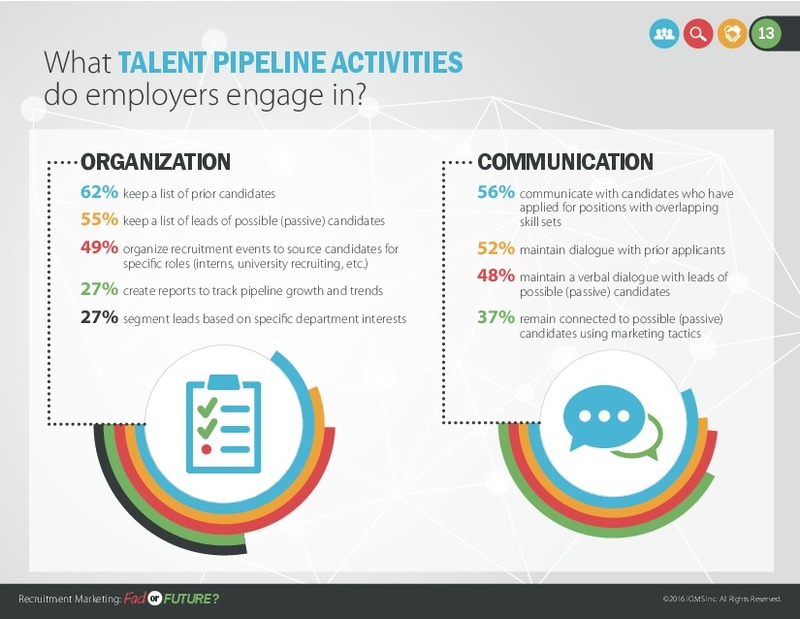 In surveys, compensation, stability, benefits, and work-life balance top the charts of most important factors job seekers are thinking of when looking for a new job, but also high on the list is location, growth opportunities, and company culture and mission. 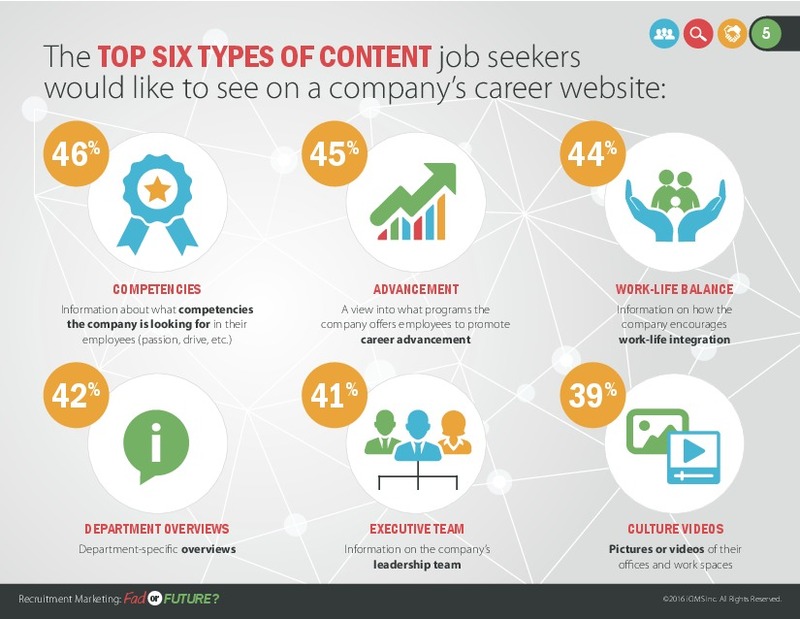 o Pictures or videos of their office and work spaces. 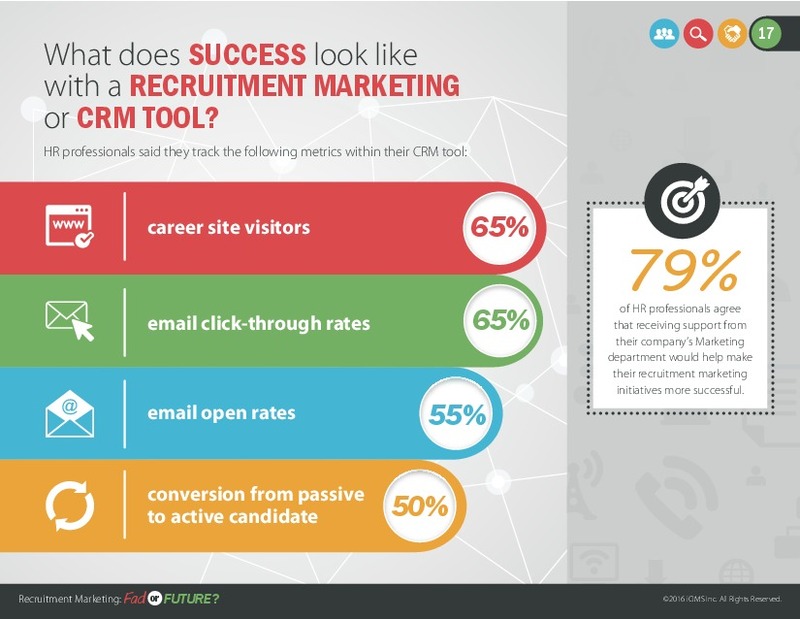 Mobile technology is also essential to recruitment marketing, as more jobseekers than ever before are using mobile devices during their job search. 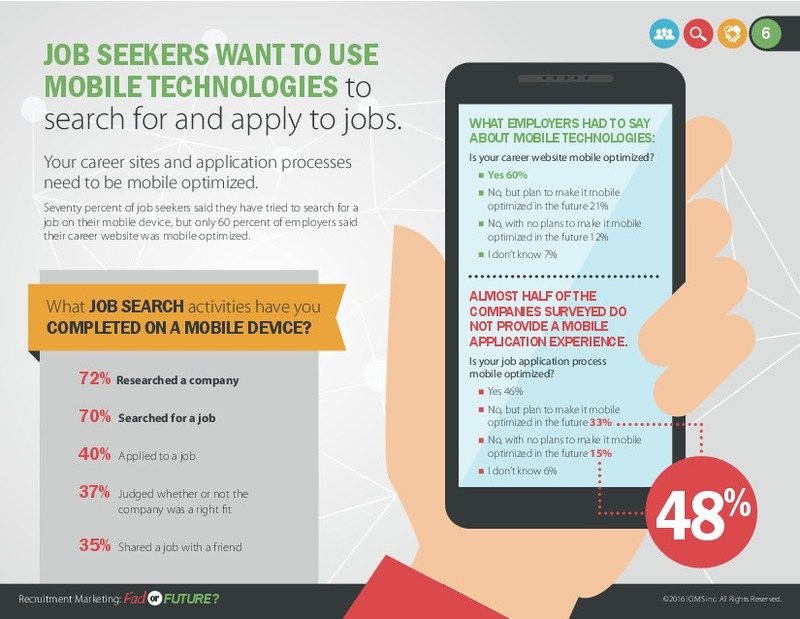 70 percent of jobseekers said that they have tried to search for a job on their mobile device, but only 60 percent of employers said their career website was mobile optimized. 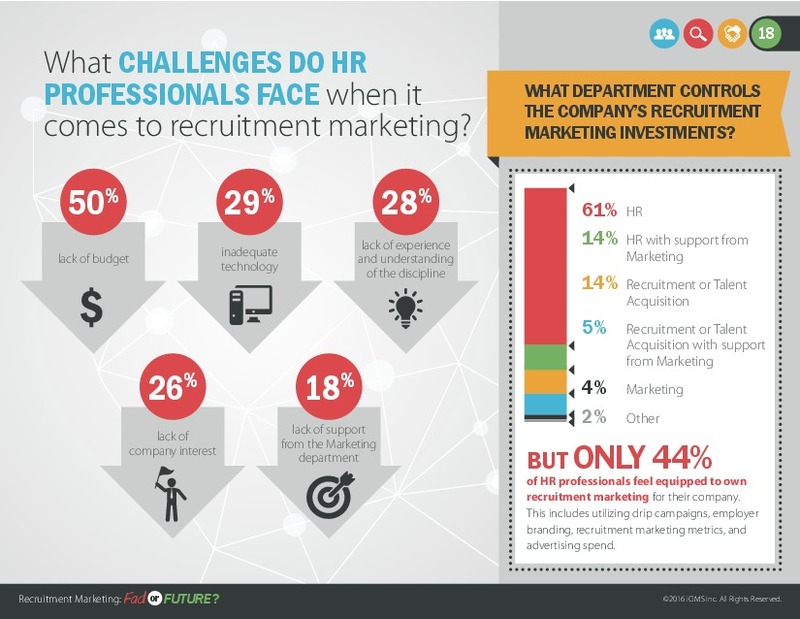 In tandem with the rise of mobile-engagement is social media. 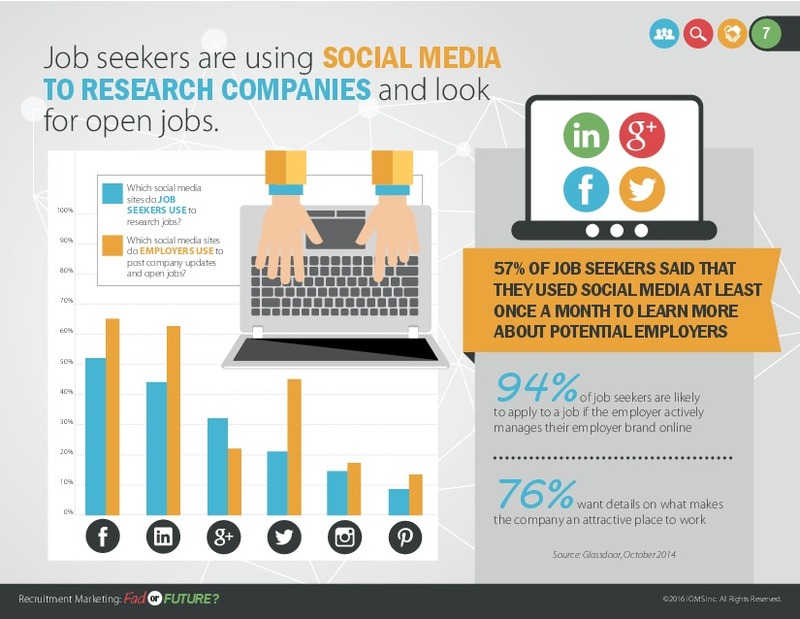 Jobseekers are now using social media to research companies and look for open jobs—and with 94 percent of jobseekers more likely to apply to a job if the employer actively managers their employer brand online, it only makes sense to invest in engaging candidates on their platforms, to best convey your company. 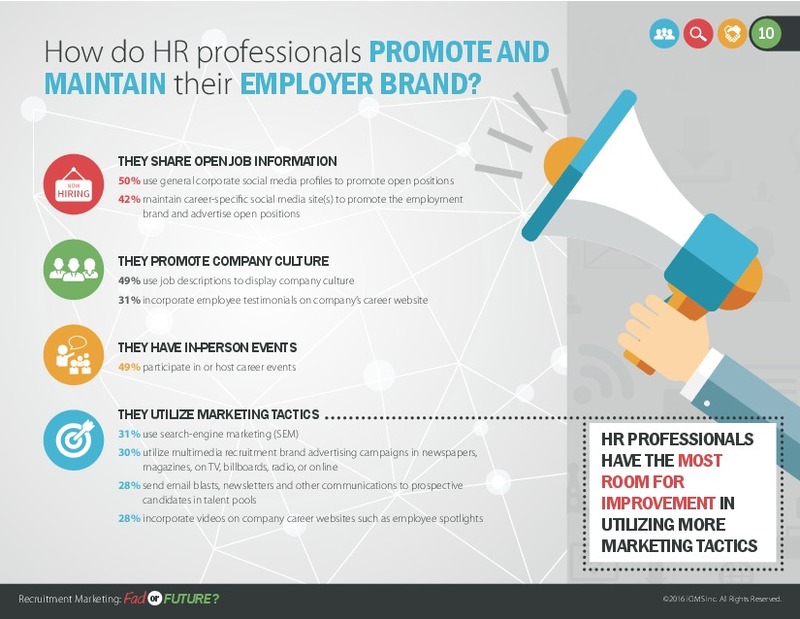 Company culture, career growth opportunities, and perks and benefits can all be marketed to portray an employment brand. 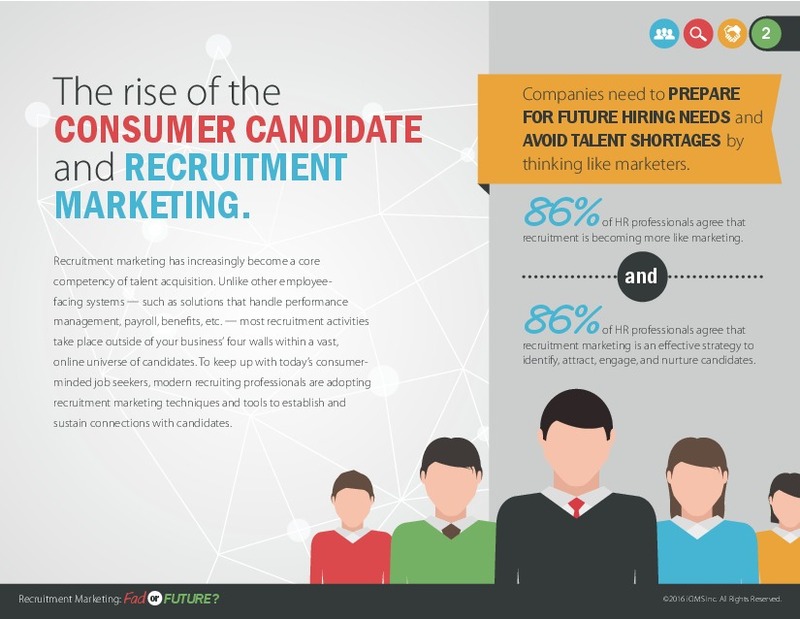 With company culture becoming a major differentiator from the perspective of jobseekers, the time is now to turn your employment brand into your best recruitment marketing tool.